On Tuesday 29 January 2019 at the Oceanographic Museum, H.S.H. Prince Albert II officially launched a series of commemorative events in honour of his great-great-grandfather: the year 2022 will mark a hundred years since the passing of Prince Albert I. A steering committee and executive committee chaired by His Excellence Mr Robert Fillon, Monaco's ambassador in Italy, will bring together a number of celebrities and figureheads from the Principality, including political authorities and heads of institutions linked to the work carried out by the ‘enlightened Prince’. The committees were appointed by a Sovereign Ordinance issued on 14 December 2018. In his opening speech, the Sovereign Prince made reference to the contemporary relevance of Prince Albert I’s beliefs, and asked the committees to show as much inventiveness as possible in showcasing how his predecessor's findings apply in today’s context. For the occasion, H.S.H. 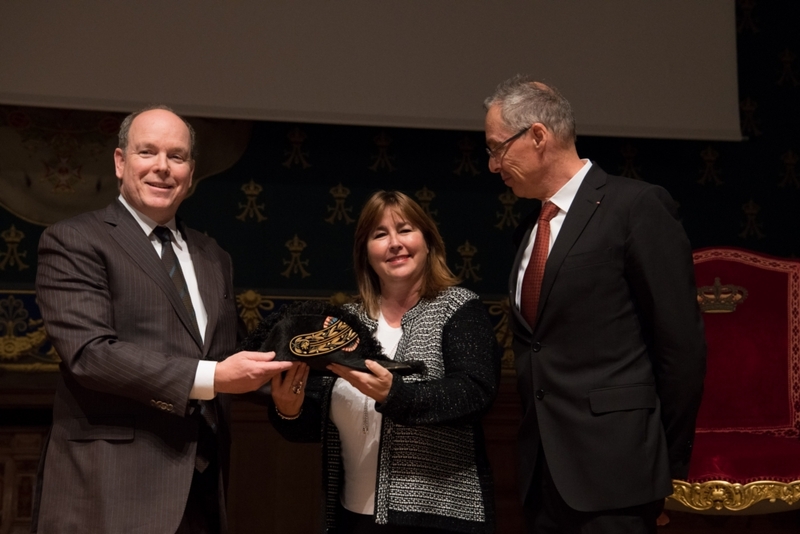 the Prince wished to demonstrate his unwavering faith in the Oceanographic Institute by making it the symbolic gift of Prince Albert I’s academician of the Sciences’ bicorne hat. 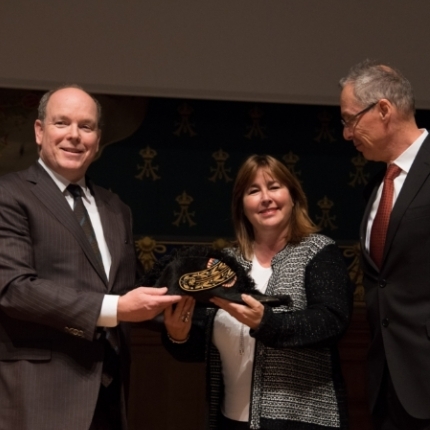 In return, the Oceanographic Institute, represented by its Director Mr Robert Calcagno et by the Vice-President, Mrs Marie-Pierre Gramaglia, gifted Prince Albert II a tie pin that once belonged to Prince Albert I, and had been kept as a memento by his great friend and fellow oceanographer, King Carlos I of Portugal.